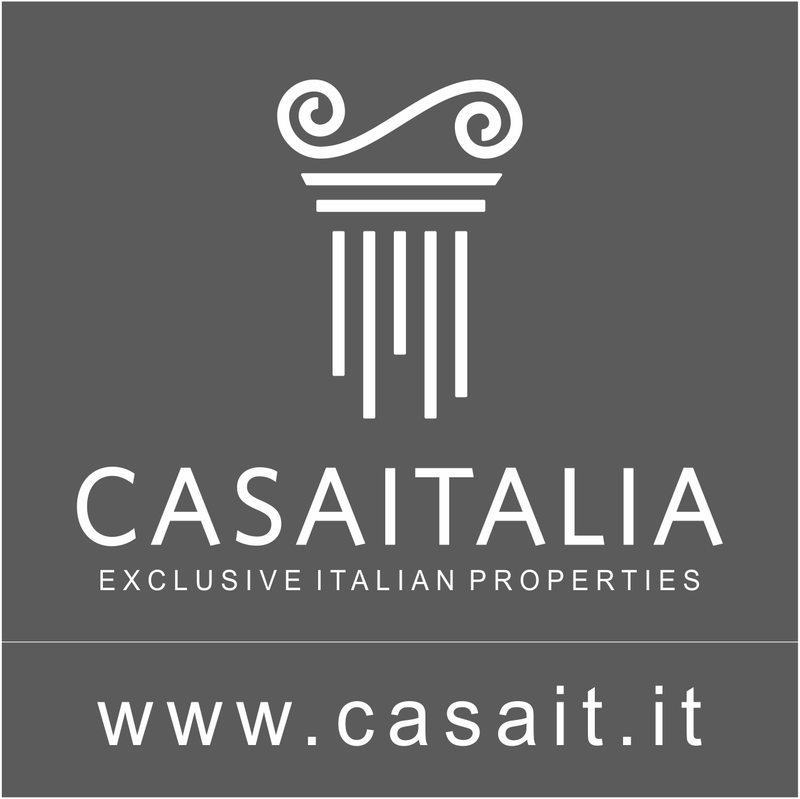 Outbuilding(s), Outdoor Living Space, Security Gate, Sunny Area(s), Swimming, Terrace. Garden View, Lake View, Open View, Panoramic, Swimming Pool View. 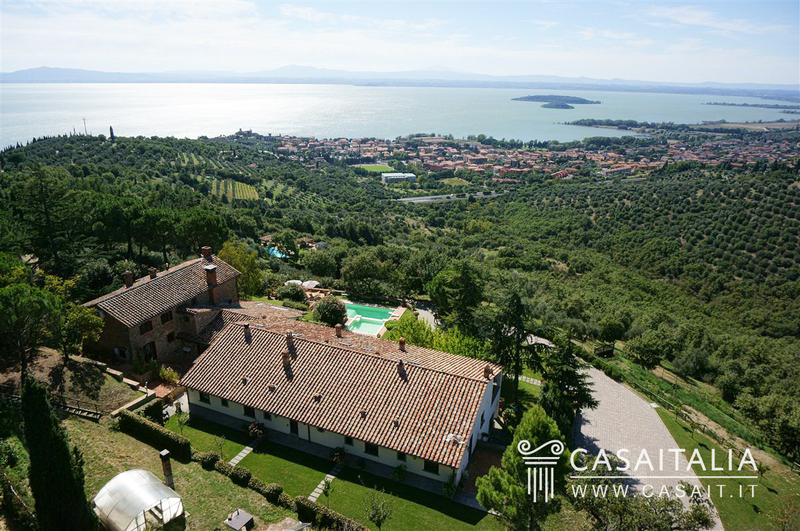 In a private, hillside location, with a magnificent view of Lake Trasimeno, stands Villa Panoramica, a prestigious property consisting of a large main villa with an adjacent country house and nearly 6 hectares of private land with swimming pool. The location is convenient, as it is near a small town (1.5 km) on the shores of the lake and with all amenities and just 26 km from Perugia, which can easily be reached in less than 20 minutes, thanks to the Perugia-Bettolle motorway link. The nearest airport is that of Perugia S. Egidio, at 37 km, while the airports of Florence and Ancona are respectively 140 km and 148 km away. Description of buildings The property consists of a large villa with an adjacent country house, which, if desired, have separate entrances. 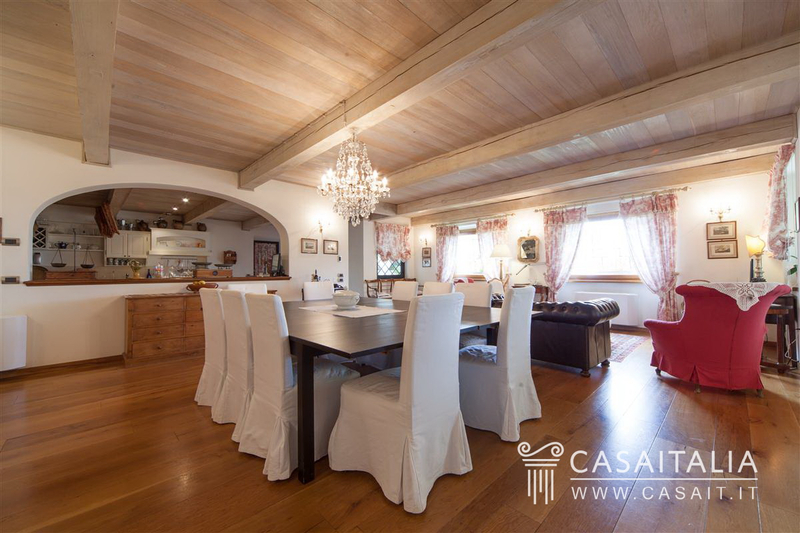 The main villa is newly built and is spread over three levels. It has a total gross floor area of 1,143 sqm, of which 392 sqm in the basement floor. On the ground floor, which measures 380 gross sqm, there are large living areas and an apartment for service staff: the entrance leads into an open-space with a living/dining room, to the right of which there is a kitchen with an island and to the left a lounge with a fireplace and another dining area. To the rear, towards the uphill side, there are large utility areas with two pantries, several hallways, a bathroom and a comfortable apartment with a kitchen/living room with fireplace, a bedroom and a bathroom, currently used by service staff. 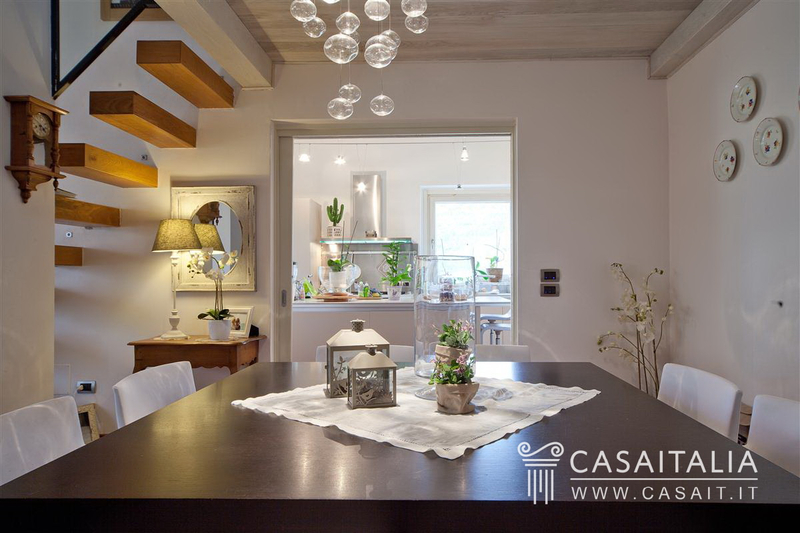 The first floor, which measures 370 gross sqm and can also be reached by lift, is divided into two apartments facing each other, each one consisting of an entrance hall, a living room with fireplace, a kitchen with a terrace, 3 bedrooms, 3 bathrooms and two storage rooms. The basement floor, which can also be reached both via an internal staircase and by lift, has a floor area of 392 sqm, used entirely as utility rooms (cellars, storerooms). Energy Efficiency Class: G. EPI: 304.21 The stone country house is adjacent to the main villa and can be reached via an internal connection. It measures 515 gross sqm, plus a porch of 77 sqm. The building is spread over multiple levels and follows the slightly sloping ground. The entrance is on the middle floor, where there is a small apartment that has a living room with fireplace, a small kitchen, a bedroom and a bathroom. By climbing a few steps, you can get to a first bedroom with bathroom and a study, overlooking the living area of the floor below. The living area can be reached by going down from the entrance and features a series of rooms on different levels. Here, there is a small lounge with a fireplace facing the dining room and behind it there is a kitchen. 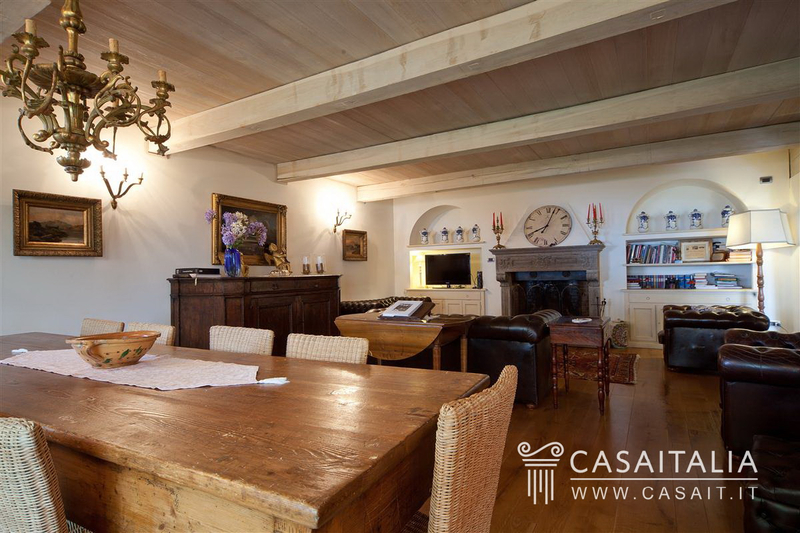 From the dining room, by going down a few steps, we reach a lounge with fireplace and a study area, with a quaint cellar room hidden behind a large bookcase. Following on there is another dining area, larger than the previous one. This floor has direct access to an external porch. 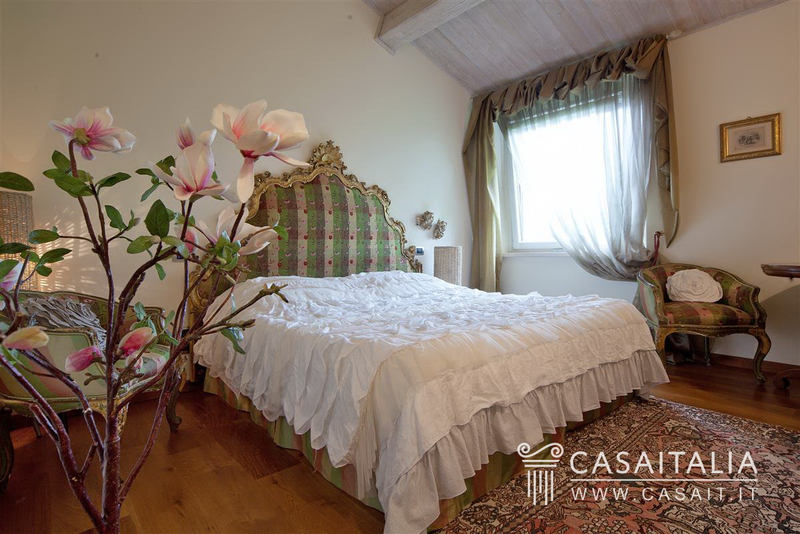 The sleeping area inside the country house is on the top floor and consists of 3 bedrooms with en-suite bathroom. On the land belonging to the property, there is also a shelter, with a total floor area of 184 gross sqm, which is used as a tool shed. Energy Efficiency Class: G. EPI: 385.13 Condition The buildings were created in different periods. 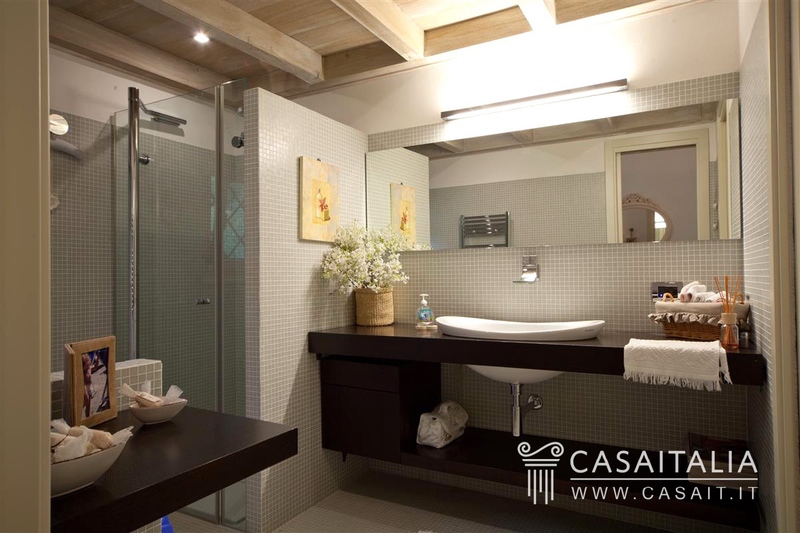 The villa is newly built and in perfect condition. It is externally plastered and has excellent quality finishes, with modern elements warmed by the whitened wood beamed ceilings and hardwood floorboards. 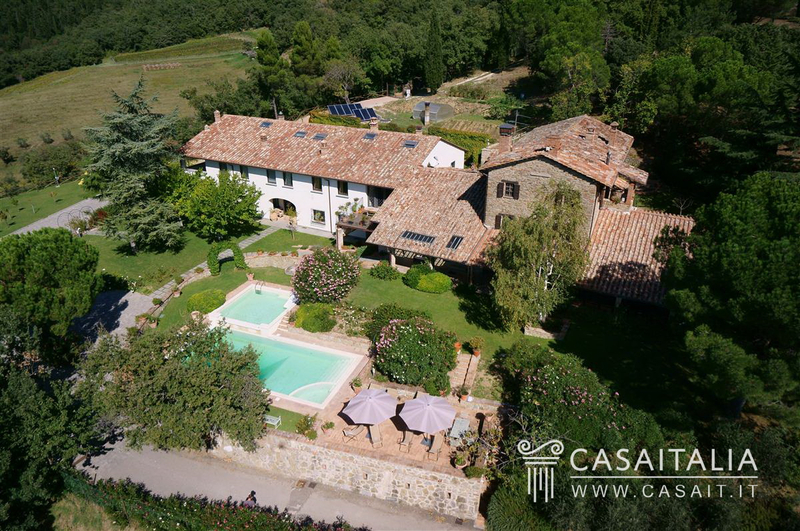 The stone country house is in good condition: internally, it has ceilings with wooden beams and flat tiles, terracotta floors in the living area and parquet floors in the bedrooms. 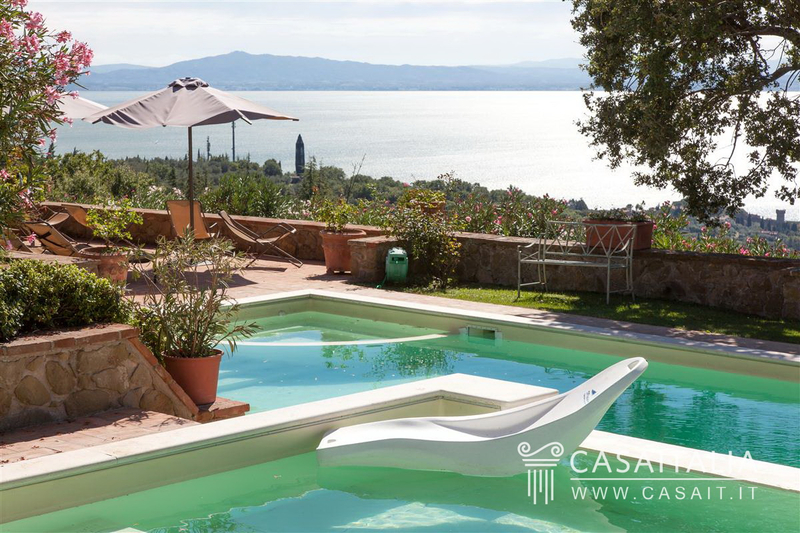 Outdoor space The buildings are surrounded by almost six hectares of private land, partly kept as a garden and a car park, in which a swimming pool with a panoramic view of Lake Trasimeno has been built, in front of the villa. 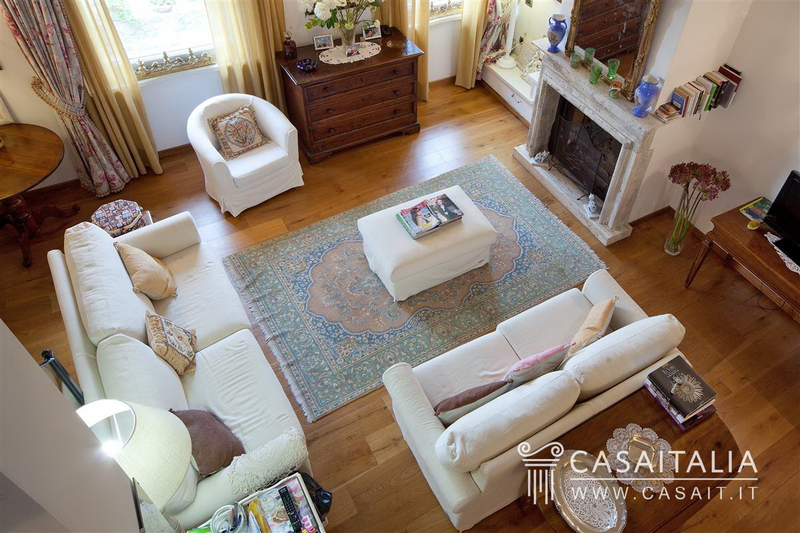 Usage and potential The villa is a beautiful representative residence, perfect for families who wish to live near each other, keeping the large living space and the outdoor spaces as shared living areas. The stone country house is ideal as an outbuilding for guests.